Chessa’s study and his lecture present a completely new reading of the mechanical sound synthesizers—the intonarumori—painter/musician Luigi Russolo created beginning in 1913. Chessa, along with other Italian scholars, has reestablished the previously unacknowledged prominence of occultism, including Theosophy, in early 20th-century Italian culture. There it operated in tandem with contemporary scientific ideas about X-rays and wireless telegraphy—all with an emphasis on waves and vibrations and their new communicative potential. With that background he argues that both Russolo’s noise aesthetics and its practical manifestation—the intonarumori—were for him and his Futurist associates elements of a multi-leveled experiment to reach higher states of spiritual consciousness. Luciano Chessa – musicologist, composer and performer. 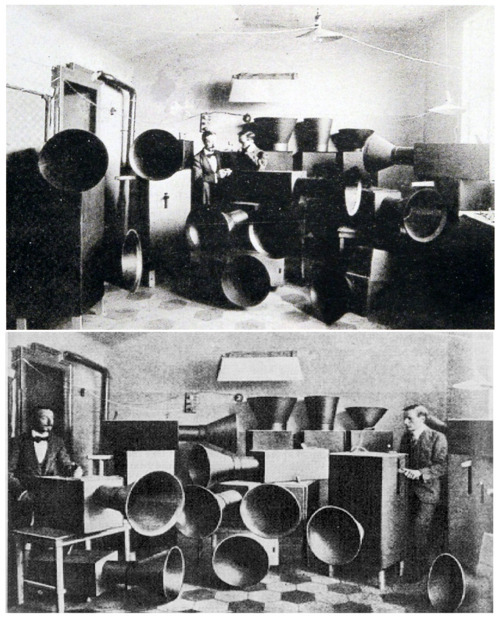 His book Luigi Russolo, Futurist: Noise, Visual Arts and the Occult, published in 2012 by the University of California Press, is a first monograph entirely devoted to the artist Luigi Russolo and his Art of Noises. Luciano Chessa has been performing futurist sound poetry and conducting an orchestra of rebuilt intonarumoris for well over 10 years. The orchestra was so far performing, among others, as a part of the New York-based Biennale of the Arts PERFORMA or the Festival Transart in Rovereto. Chessa is also the art director and conductor of The Orchestra of Futurist Noise Intoners. He teaches at the San Francisco Conservatory of Music, serves in the Advisory Board of TACET, the international research publication dedicated to Experimental Music of the University of Paris 1 Pantheon-Sorbonne.